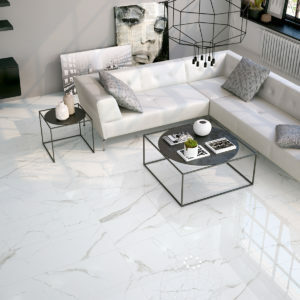 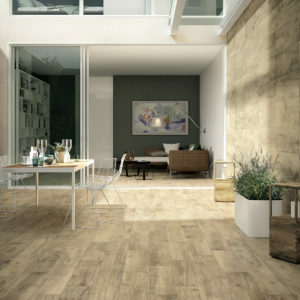 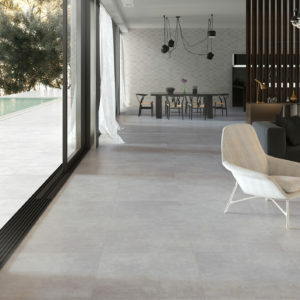 Create a stunning and unique look with this matt finish hexagon shaped porcelain tile range. 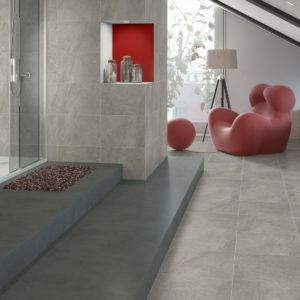 Available in white, grey and black with a subtle cement effect print, you can use a single colour in a regular pattern or completely random colour choice to create numerous fantastic designs. 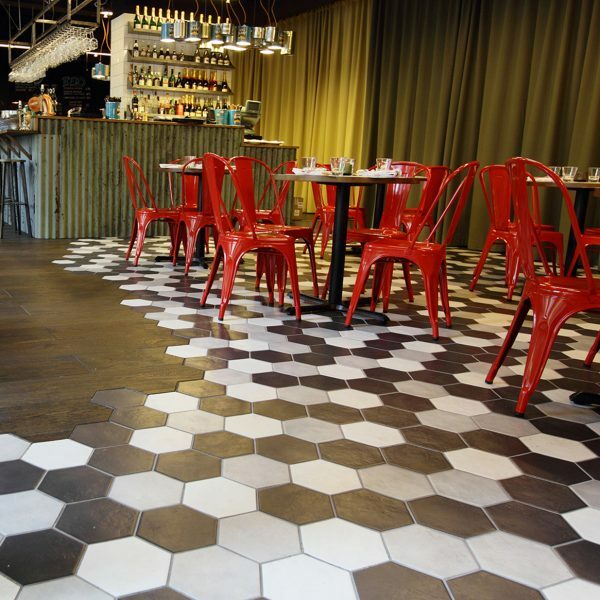 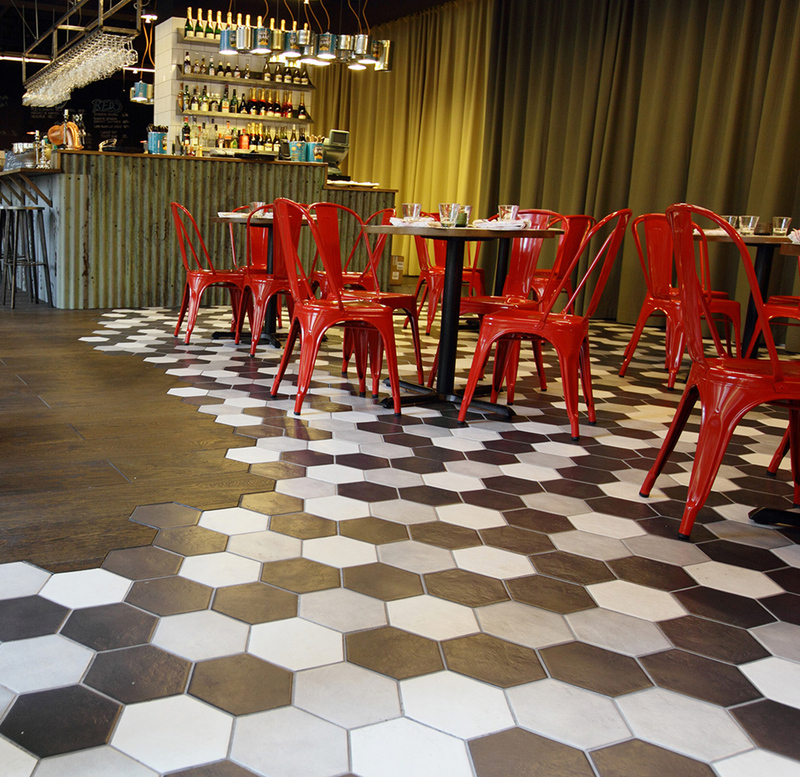 Hexatile Cement porcelain tiles are great for creating a beautiful look in any residential room but also due to their hardwearing properties are perfect for public areas such as restaurants, bars and coffee shops.